T-Rings for Olympus There are 7 products. For Full Size 4/3 Mount. (This Fits Olympus "E" Series) A "T-Ring" couples your SLR or DSLR camera body to a T-Adapter or other "T" threaded camera mount. 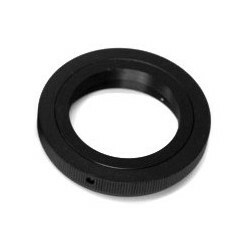 This is a 37mm Deep T2 Ring (Fits Olympus PEN & OM-D Series) (Fits Panasonic Lumix G Series) - This “T-Ring” will couple your Mirrorless Camera to any T-Threaded Mount. The thread on this ring is Female 42mm (.75). 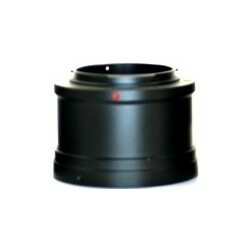 Note that T-Rings for Mirrorless models are actually tubes, rather than rings. Our custom made "T-Minus" rings get their name from the fact that they are shorter than the "T2" standard but still have the same 42mm (.75 pitch) threads. Normal T-Rings for MIL type cameras are typically 30-38mm deep. Our "T-Minus" rings are only 10mm deep. Fits OLDER 35mm FILM SLR Models such as OM1, OM10, etc ONLY. Will not fit OM-D models, see #TM43 for OM-D models. 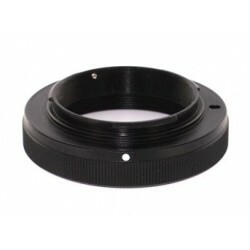 A "T-Ring" couples your SLR or DSLR camera body to a T-Adapter or other "T" threaded camera mount. The internal thread is known as "T" or "T2" and is 42mm .75" pitch. Our custom made "T-Minus" rings get their name from the fact that they are shorter than the "T2" standard but still have the same 42mm (.75 pitch) threads. Normal T-Rings for MIL type cameras are typically 30-38mm deep. Our "T-Minus" rings are less than 10mm deep. Our custom made "T-Minus" rings get their name from the fact that they are shorter than the "T2" standard. This is also a Wide Ring with 48mm (.75 pitch) threads. Normal T-Rings for MIL type cameras are typically 30-38mm deep. Our "T-Minus" rings are only 10mm deep. Requires a T-Adapter with 48mm threads.